Please welcome Sarah Fine to The Qwillery. 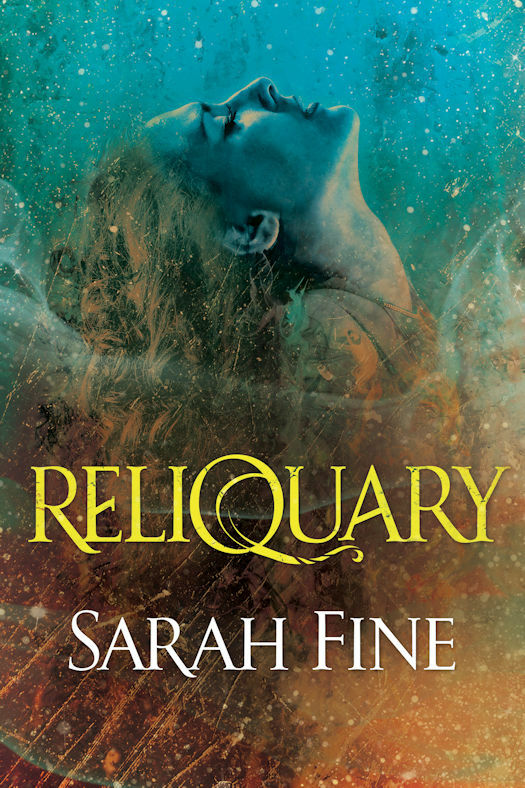 Reliquary, the first novel in the Reliquary Series, was published on June 14th by 47North. TQ: Welcome to The Qwillery. You've written over a dozen published novels. Has your writing process changed (or not) over the years? What is the most challenging thing for you about writing? Sarah: I'm more aware of story structure than I was when I started to write, so now, as I consider a story, I think about the inciting incident, the midpoint, the break into the third act, etc. I think it helps with pacing and focus. In terms of challenge, I'm learning to write messier first drafts. I used to edit extensively as I wrote, but nowadays I need to be a bit more efficient, which means more willingness to go forward with the plan to go back later instead of obsessively needing to fix everything as I go along. Sarah: I plot. I always need to know where I'm going. That said, I think it's necessary to be flexible. Often I find a better route that I couldn't have possibly seen at the beginning of the journey. Sarah: I find that I'm often moved to write or ponder a theme for a story after reading excellent nonfiction. For example, I'm writing a novel right now that's inspired in part by In the Garden of Beasts by Erik Larson. TQ: Describe Reliquary in 140 characters or less. Sarah: To save her fiancé Ben, Mattie journeys into an underworld of addictive magic & forms a tense partnership with Asa, Ben’s estranged brother. TQ: Tell us something about Reliquary that is not found in the book description. Sarah: This book is seriously fun, but it goes to unexpectedly dark places in terms of the romantic, sexual, and psychological aspects. Also, Asa is a strict raw vegan who carries magic floss in his pocket. TQ: What inspired you to write Reliquary? What appeals to you about writing Urban Fantasy? 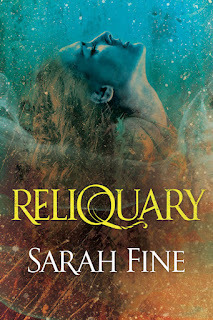 Sarah: Reliquary is a story that I wrote at a time in my life where I was making some really tough decisions and in desperate need of true escape, and the story was definitely the playground I needed. In general, UF provides the opportunity to dwell in a real, contemporary world but to preserve a sense of magic and possibility that too often dies in adulthood. It's like grown-up fairytales, basically, which is why I love it. TQ: Do Reliquary and the Servant of Fates series (Marked, Claimed, and Fated) share anything thematically? Sarah: I guess I could dig around and try to come up with something, but to me, the only thing they have in common are that they were extremely fun to write. The worlds are seedy and colorful and wild, full of possibilities and rabbit holes. TQ: What sort of research did you do for Reliquary? Sarah: Probably the most research I did was for a certain scene that's set in Bangkok that might catch some readers by surprise, but to me made complete psychological and narrative sense. I did a lot of Internet research but also consulted with a specialist colleague of mine to get the details right. I don't want to say more than that for fear of spoiling it. TQ: In Reliquary who was the easiest character to write and why? The hardest and why? Sarah: Asa is a challenge because I usually write "good guy" male protagonists who are tough but not jerks. Asa IS kind of a jerk at times, though with good reason, and I had to keep reminding myself of who he was and what he goes through on a daily basis to remain true to his character. Gracie was the easiest. Probably because she is a dog. TQ: Which question about Reliquary do you wish someone would ask? Ask it and answer it! Q: Everyone hates love triangles. Why is there one in this book???? A: I know it seems like there is a love triangle, but to my mind, that is just not the focus of the relationships in Reliquary. This series is about Mattie going through a process of becoming what she was always meant to be, and that means she has to decide whether she's willing to let go of the familiar and safe in favor of entering the big, dangerous world. That's not easy for her, and the relationships she has with Ben and Asa are emblematic of that struggle, but not always about the men themselves. And this isn't a romance novel, even though it has romantic elements. I won't promise that she ends up with either one of them! TQ: Give us one or two of your favorite non-spoilery quotes from Reliquary. Sarah: Next comes Splinter, the sequel to Reliquary, which was possibly the most fun I've ever had writing a book.